Whole home entertainment and personal productivity throughout the home and on the go. As a true superset of Home Basic, Windows Vista Home Premium will include everything from Home Basic, as well as Media Center and Media Center Extender functionality (including Cable Card support), DVD video authoring and HDTV support, DVD ripping support (yes, you read that right), Tablet PC functionality, Mobility Center and other mobility and presentation features, auxiliary display support, P2P ad-hoc meeting capabilities, Wi-Fi auto-config and roaming, unified parental controls that work over multiple PCs, backup to network functionality, Internet File Sharing, Offline Folders, PC-to-PC sync, Sync Manager, and support for Quattro Home Server, a Windows Server 2003 R2-based server product aimed at the home market. 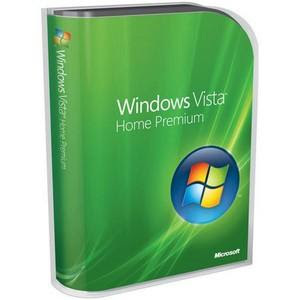 Windows Vista Premium is similar to XP Media Center Edition, except that it adds numerous other features and functionality, including Tablet PC support. My guess is that this will be the volume consumer offering in the Windows Vista timeframe (today, XP Pro is the dominant seller). This version is aimed at PC enthusiasts, multiple-PC homes, homes with kids, and notebook users. Which Vista Operating System is Right for You? What to Look for in a Windows Operating System? What Does 64-Bit Vista Get Me?